WASHINGTON — A U.S. military helicopter has crashed in western Iraq with seven service members on board, U.S. officials said Thursday. 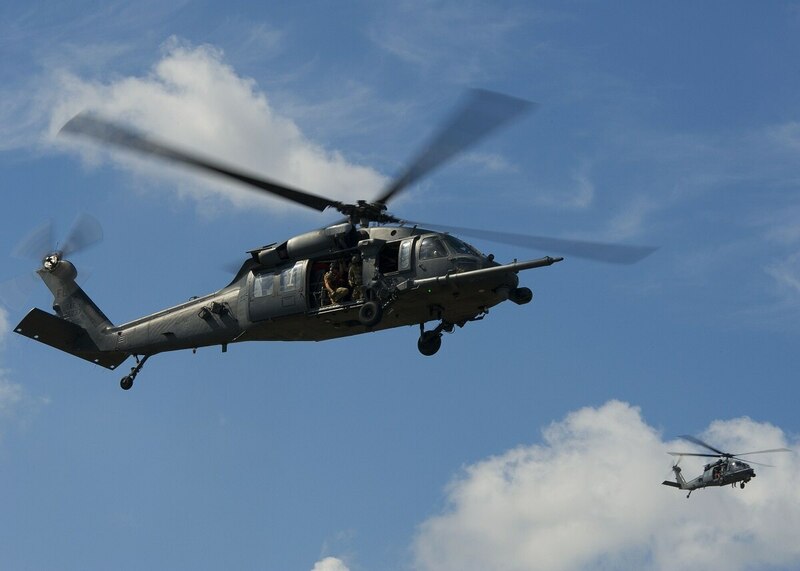 A defense official confirmed to Military Times that an HH-60 Pave Hawk crashed in Anbar Province near the town of Qaim in Iraq. The helicopter, which used by the Air Force for combat search and rescue, was not under fire and was on a routine route to move the helicopter from one location to another, the official said. The U.S. Air Force footprint has shrunk since Iraq announced that ISIS has been driven from all major Iraqi cities but maintained a presence at Al Asad for training, the official said. Officials said that rescuers were responding to the location, but other details were not yet available. It’s not clear if there were any survivors. The officials spoke on condition of anonymity to discuss details of the crash before it was made public. Rescue teams are responding to the scene of the downed aircraft at this time, Capt. AnnMarie Annicelli, a spokeswoman for Air Forces Central Command, said in a statement to Air Force Times. Further details will be released when available, she said. An investigation will be initiated to determine the cause of the incident. The U.S.-led coalition battling Islamic State insurgents in Iraq and Syria have an outpost in Qaim, which is located near the Syrian border. The anti-ISIS campaign accelerated through much of last year, as coalition and Iraq forces battled to take back a string of cities and towns. Prime Minister Haider al-Abadi declared victory over ISIS in Mosul in July. In the following months Iraqi forces retook a handful of other ISIS-held towns including Tal Afar in August, Hawija in September and Qaim in October. In November, Iraqi forces retook the last Iraqi town held by ISIS — Rawah, near the border with Syria. The U.S.-led coalition has continued to work with Iraq and Syrian Democratic Forces to shore up the border region to make sure that foreign fighters and insurgents can’t move freely across the region. Senior reporter Stephen Losey and Pentagon bureau chief Tara Copp contributed to this report.